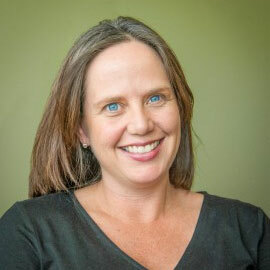 Bridget Hamre, PhD, is Co-Founder of Teachstone and Research Associate Professor and Associate Director of the University of Virginia‘s Center for Advanced Study of Teaching and Learning (CASTL). When Bridget was a teenager she told her Mom—a former hippy and teacher—that there were three things she’d never do: wear bell-bottoms, buy a minivan, or teach. She went on to do all three. Throughout her career in education, Bridget has seen firsthand how powerful relationships between teachers and students can be in helping to set children on a positive trajectory, both in school and in life. With her expertise in student-teacher relationships and classroom processes, Bridget authored the MyTeachingPartner (MTP) Coaching and coursework (traditional and online). She received her BA from the University of California at Berkeley and her MEd and PhD in clinical psychology and school psychology from the University of Virginia. Recently, I wrote about research showing us just how few children experience even “good enough” teaching from kindergarten to third grade. Only 4% of children in rural areas of North Carolina and Pennsylvania had access to good enough teaching during these critical early years and over 50% only experienced good enough teaching for 1 year or less. Why am I Joining Teachstone as Chief Impact Officer? On August 1 I joined Teachstone as Chief Impact Officer. If my name sounds familiar, it may be because I am one of the authors of the CLASS and a co-founder, with Bob Pianta, of Teachstone. For the last 20 years, I’ve spent my days researching ways teachers can best support children’s and adolescents’ development and learning. I’ve conducted many studies, written many papers, and trained doctoral and post-doctoral candidates who have gone on to do even more and better work in this area. Most of those 20 years I’ve worked at the University of Virginia’s Center for the Advanced Study of Teaching and Learning (CASTL) and have had the privilege of working with incredible colleagues at UVA and elsewhere. Honestly, it’s a dream job: getting paid to think, write, and travel to talk about our work and find inspiration in the ideas of others. So, not surprisingly, when I tell people about my new job, I get a lot of quizzical looks. At this year’s InterAct Summit, Bridget Hamre delivered a powerful message during the opening keynote. We pulled out some of her key points into a two-part blog series, Interactions Are Our Core. Below is the second part of a two-part series on Interactions Are Our Core. You can find the first part here. At the InterAct Summit 2016, Bridget Hamre delivered a powerful message during the opening keynote. We pulled out some of her key points into a two-part blog series, Interactions Are Our Core.